Maryam Idris Bappa is the winner of the female category prize of the Poetic Wednesday s second anniversary poetry award sponsored by the Arts-Muse Fair blog. 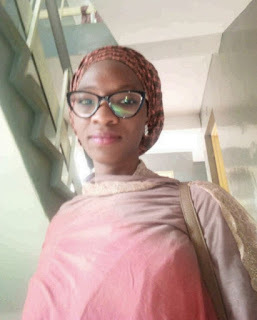 Born and bred Zaria, Northern Nigeria, she has had all her education in Zaria where she is currently a Masters student in Architecture at the Ahmadu Bello University (ABU). In this conversation with Salim Yunusa, she explains the intersection between poetry and Architecture. As an Architect, how has your profession shaped your poetry? 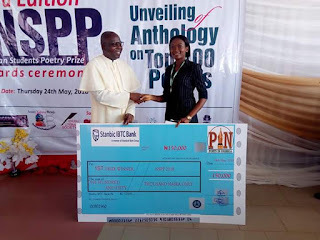 Poets in Nigeria (PIN) has announced the winner of 2018 edition of the Nigerian students poetry Prize. The winners are Iberiyenari Godstime Tamunofiri, Amagwula Nnenna Comfort and Ikeobi Samuel Chukwubuokem. Iberiyenari, a 400-level female student of Chemical Science at Niger Delta University, Wilberforce Island, Yenagoa whose poem was titled “Deep Dreams” was announced the first prize winner at the awards ceremony which held on Thursday May, 24 at the Convocation Hall of the Godfrey Okoye University, Enugu, Enugu State. 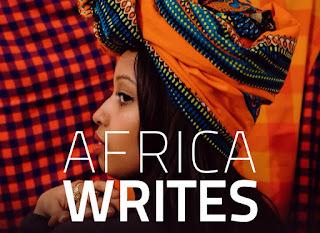 AFREADA x Africa Writes call for entries for 2018 AFREADA x Africa Writes Competition. This year’s exciting programme will showcase the very best writers and writing from the continent and the diaspora, including none other than the much-loved, Somali British poet, Warsan Shire, who will be in conversation on Sunday, 1st July This year, we asked Warsan to come through with a writing prompt, and she certainly didn’t disappoint. We are inviting writers, anywhere and everywhere, to participate in a 500-word flash fiction competition based on this striking line from the poem, The House. It reads: Mother says there are locked rooms inside all women. Conversation with Yushaa Abdullah, Black Africa’s first professional Arabic Calligrapher. 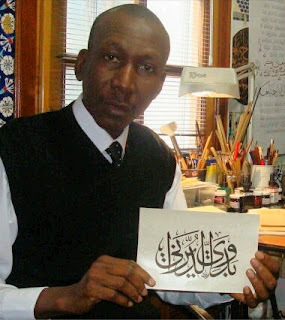 Hattat Yushaa Abdullahi obtained his Ijaza (License) as a professional Arabic calligrapher in 2013 after a rigorous 5-yr training at the International Research Centre for Islamic History, Arts and Culture (IRCICA) Istanbul, Turkey, making him the first black African to get this license. He lives in Kaduna, Nigeria where he runs the 'Hattat Hassan Celebi' Calligraphy Centre, Nigeria’s only formal Arabic Calligraphy training centre. Late last year, two of his works were sold at an exhibition in Cambridge, UK, for 3,500 pounds, which he donated to the first Europe Eco-Mosque project in Cambridge. Last month April, his works were also exhibited and an international exhibition in Sharjah, UAE. The Cambridge exhibition was organised by the Cambridge Islamic Art committee with vision to seek donations from world's prominent Islamic Artists by sacrificing their valued artworks to the first Europe Eco Mosque project in Cambridge. UK. This interview with Ayeyemi Taofeek Kehinde opens our series of interviews with the four winners of thePoetic Wednesdays 2nd Anniversary Poetry Contest co-sponsored by the Arts-Muse Fair blog. Fondly called Aswagaawy, Ayeyemi Taofeek Kehinde is the author of "Oro n Bo: Dripping Words" (a poetry collection). Winning poetry competitions seem to come easy to him. 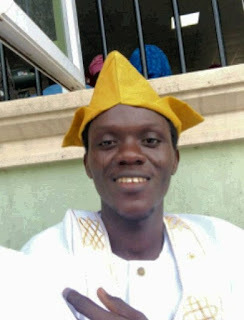 His list of winnings include the First Runner-up of the BPPC September 2017 and February 2018, TAJIF Poetry Contest 2017, First Runner-up of Okigbo Poetry Prize (University of Ibadan, 2016), 4 times winner PIN Monthly Poetry Challenge among other prizes, awards and honorary mentions. He is published in Authorpedia, The Quills, The Pengician, Tuck Magazine, Inspired Magazine, Peregrine Reads and other online platforms. Here, Aswagaawy chats with Salim Yunusa on his poetry and more. How has your profession shaped your poetry? 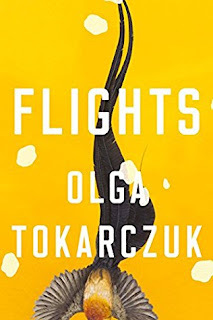 Flights by Olga Tokarczuk, translated by Jennifer Croft and published by Fitzcarraldo Editions, has been announced as the winner of the Man Booker International Prize 2018. The £50,000 prize, which celebrates the finest works of translated fiction from around the world, has been divided equally between its author and translator. They have also both received a further £1,000 for being shortlisted. Flights is a novel of linked fragments, from the 17th century to the present day, connected by themes of travel and human anatomy. 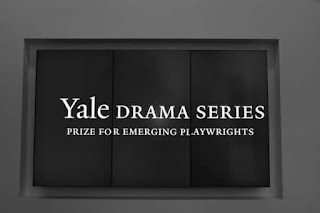 The Yale Drama Series is seeking submissions for its 2019 playwriting competition. The winning play will be selected by the series’ current judge, Ayad Akhtar. Past judges have included Edward Albee, Sir David Hare, John Guare, Marsha Norman and Nicholas Wright. Past winners have gone on to have full productions in New York, Los Angeles and London. The winner of this annual competition will be awarded the David Charles Horn Prize of $10,000, publication of his/her manuscript by Yale University Press, and a staged reading at Lincoln Center’s Claire Tow Theater. This contest is restricted to plays written in the English language. Worldwide submissions are accepted. 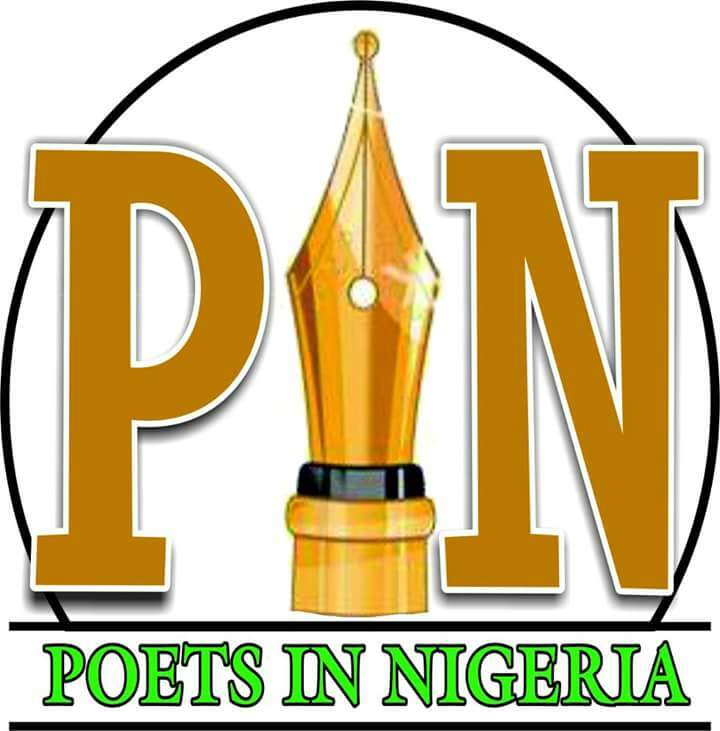 Ahead of the Nigerian Students’ Poetry Prize awards on Thursday this week, Poets In Nigeria (PIN) will on Wednesday hold her first annual National Summit at the Godfrey Okoye University, Enugu. The Summit has the theme, Enhancing Literary Skills Among Poets & Writers with the keynote address to be delivered by Prof. Christian Anieke, the Vice-Chancellor of Godfrey Okoye University. Programmes of the Summit include a Business session for officials and members of PIN, poetry workshop and discussions on performance poetry and poetry in indigenous languages. Registration fee for participants is N1,000. Resource persons expected at the Summit include Justice Chidi Ugwu, Kolade Olanrewaju Freedom, and Khalid Imam. Others are Amarachi Atama, Ken Ike and Adekunle Oguntoyinbo Shola Phebian. A guitar that played a key role in Bob Dylan's artistic evolution from folk music to rock fetched a half million at auction on Saturday. The guitar, a 1965 Fender Telecaster that belonged to Robbie Robertson, Dylan's guitarist, was used by Dylan, Eric Clapton and George Harrison, Julien's Auctions said Saturday. It had been expected to fetch between $400,000 and $600,000. The guitar marked the singer's path from folk stylings like "The Times They Are A-Changin'" (1964), to electric rock, like his 1965 hit "Like a Rolling Stone." 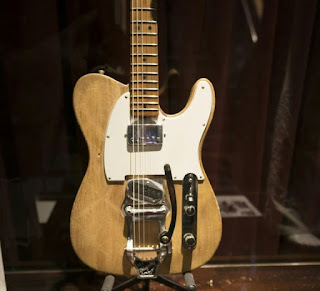 Other famous guitars went under the hammer on Saturday: George Harrison's first electric guitar, a $40,000 Hofner Club 40, and a Fender Telecaster rosewood guitar made for Elvis Presley in 1968, priced at a cool $115,200. More than 40 years after his death, Elvis items still fetch a handsome price. Applications are invited for a four-day academic writing workshop hosted by AMLA in Kampala between 15-18 August, 2018. The workshop targets early career scholars of African Literary and Cultural Studies. 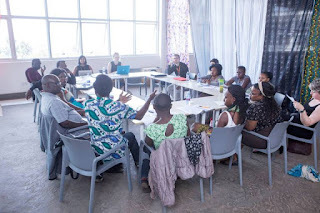 It is designed and organised as part of a collaboration between the Arts Managers and Literary Activists (AMLA) Network, the journal East African Literary and Cultural Studies (EALCS), University of Exeter and University of Bristol. The workshop will support the preparation of academic articles for publication in high impact international research journals, as well as opening up opportunities for new collaborations and conversations. We are also working on a linked Special Issue of East African Literary and Cultural Studies on ‘New Approaches to Literary Activism in in 21st Century Africa’ and will consider some of the articles developed through this workshop for the issue. Have you recently set up or are you thinking of setting up a new platform that promotes African literature? Are you employed in a recently established literary and cultural initiative? Would you like to join a network of like-minded literary activists and arts managers? This four-month fellowship is designed to support you to build your idea from the form in which it is right now, to an implementable stage. The fellowship is divided into two major parts namely: ·a three day in-person workshop in Kampala, Uganda (August 15 – 17, 2018) and ·Three months online mentoring with established arts managers and literary activists. At the successful completion of the fellowship, fellows receive a certificate of completion and join the AMLA network, a community of founders and members of Africa-centered literary and cultural initiatives.